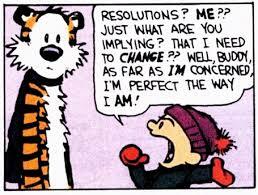 My resolutions mostly have to do with writing goals this year. I’m trying to publish five books. Four are already drafted, three have had a couple beta readers give me feedback. I’ve nearly got a cover painted for one of them. I’m a slow painter. I may need to buy a cover or two for next year, but I’d much rather have my art. So here’s hoping I get faster at painting. Can’t really make that a goal, though. It’s not measurable. My proposed novels are Bellerophon, a retelling of the Greek myth by the same name, and Snow White and the Civil War, Parts 1 and 2. I’m finishing up a Christmas story collection now, and I hope to be able to finish my ghost stories by fall. I have to write something between now and then anyway or I’ll go nuts. I did months of nothing but editing once, and it was a mistake. I actually think you will publish six. You’re well on your way Cathleen and I think your art is very cool! Well, I haven’t pulled it off yet. As to artwork, that’s really the bottleneck. I studied how to paint, y’know, still lifes and landscapes, portraits and nudes. I worked from models. And they’re in pretty short supply while painting dragons and flying horses. So that part’s been a definite adjustment. I’m hoping all of you find worthy goals for 2016, too. We’ll figure out this publishing and promoting thing together. That’s one thing I’m really looking forward to. Reading each others books and cheering each other on.